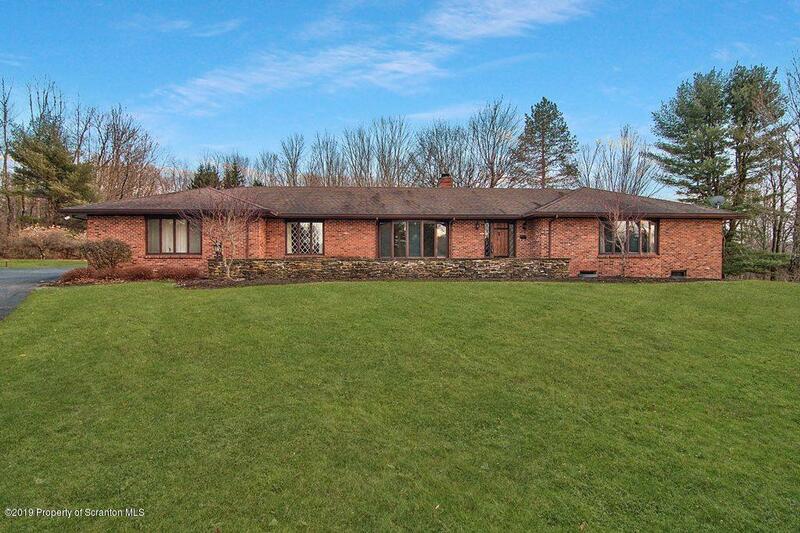 Rambling Ranch Surrounded by 18 Acres of Peace and Tranquility in Dalton Borough. Stately Stone Walls and Patio Complement the All Brick Exterior. Features Include Master Bedroom Suite, 2 Rustic Woodburning Fireplaces, Partially Finished Lower Level and a Generous 3-Car Garage. Cosmetic Updating Will Transform the Spacious Interior into Your Own Showplace.